Integrated with Telus eClaims, so you can seamlessly submit claims to 14 extended insurance carriers. Store the payment information, process all major debit and credit cards at the counter or online using the MRX Pay to avoid the lineups. All forms are integrated into our software, so you can customize and send them to your patients with just one click. Fully integrated with MailChimp. Your patients in MRX will automatically be added to your MailChimp list if they have opted in to marketing emails or survey forms. 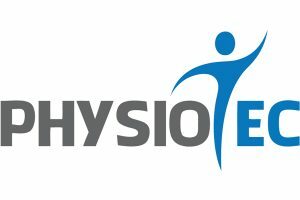 We have partnered up with the worlds largest database for exercises, so you can easily email the exercise plan to your patients. We offer a unique overview of everything that has happened with the patient at your fingertips, without scrolling back and forth. Send a subjective questionnaire link to the patient’s email when they arrive, so they take it on their mobile phone while waiting. After submission, it goes straight to their chart. Appointments that patients booked through our online booking will show on your Google Calendar automatically. Send the outcome measure survey to the patients’ email. Practitioners also no longer need to do the scoring, MRX does all the work for you. We’re constantly upgrading our software and we offer free upgrades to our clients. Get the analytics to know where your income is coming from. We help you to make smart decisions. As a practitioner, you only need to care about your patients. We know what’s important for your business and we deliver important analytics to you. Our business analytics module supports the top 3 coaching philosophies. You get graphs of finances – daily, monthly, quarterly and yearly. products to our designers and developers. 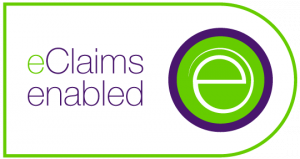 eClaims is integrated into MRX Solutions to further streamline the claim submission process. Reduce clients’ up front, out of pocket costs. Process client claims for FREE in real time. Increase revenue by turning website visitors into fully booked and paid appointments. Avoid line-ups because the method of payment is already entered in enabling reception to bill clients with a single click. Grow recurring revenue stream by signing patients up for automatic payments for their treatment plans. Get access to a comprehensive database of rehab exercise videos. Customize exercise programs that patients can access through the MRX Solutions client login page. Monitor patient progress in real time (exercises completed, etc.) Any updates are automatically added to patients’ charts as PDFs. Nuon Imaging Inc. is a national, full-service distributor of wall-to-wall radiology products. While charting for your patient you can request an x-ray directly to Nuon software. You can specify details of what area to x-ray. After the x-ray is done the images get loaded back into the patient’s file in our software for you to view at any time. MRX Solutions partners with SIDECAR to provide training for our products and services. SIDECAR liberates you from the daily hassles of running a chiropractic business, freeing you to do what you love – care for your patients. Services include virtual training, solutions for billing, IT management and one-on-one-training. We are committed to helping you achieve chiropractic affluence through our expert guidance. We took the way we help you build the relationship with your patients even a step further as we’re now integrated with MailChimp. Your patients in MRX will automatically be added to your MailChimp list if they have opted in to marketing emails or survey forms. If a patient unsubscribes from a MailChimp email, your MRX list will also be updated. The integration of SIDECAR training into the MRX software has allowed the day to day operations of the clinic to run more smoothly and efficiently. This system has liberated the doctors and staff to focus on exceeding patient expectations and providing evidence-based care while maximizing productivity. Both SIDECAR and MRX have been a great addition to the Valley Chiropractic team. Practice Management | Chiropractic Software | EMR | Billing | Soap Notes| Paperless | Practice Management | Telus eClaims | Best Chiropractic Software. Copyright MRX Solutions. All rights reserved.